Tired modern man's bedtime necessities. Vivace is harder than Andante. 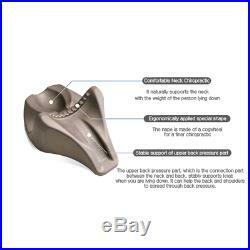 The combination of CV4(Press the back of the head) and EV4(Extend the back of the head) in the sleep function of the OCBR(Neck support), which is the base of KANUDA, further enhances the traction and the extension function. Even when you are lying sideways, your shoulders are not pressed, so you can maintain optimal comfort and a good night's sleep. Keeping the cervical spine curve open enough to keep the airway breathing comfortable. The physical therapist uses the position and angle of the hand, which massage the head, at 26 degrees to comfortably support the head and stimulate it gently. When the head is placed on the pillow, the hollow space at the bottom of the cervical spine is removed to support the neck and provide natural comfort. 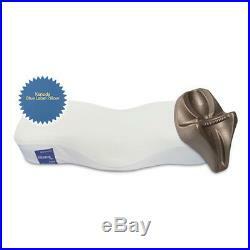 Provides pads for adjusting the height of the pillow to suit your sleeping preference. Minimize head and body pressure by dispersing body pressure. How to use (When lying flat). Place your head on the pillow with your shoulders as close as possible to the pillow. Lift your chin as far as possible towards your chest, then slowly place your head on your pillow again. Close your eyes and relax your heart. Take a comfortable and healthy sleep. How to use (When lying down sideways). When lying down sideways, lay your side neck and side head close together on the pillow. Outer cover : Deodorant and Antibacterial Fabrics, Double mesh. Inner cover : Waterproof functional materals. Pillow : 600298.5103 (mm) / 23.6211.754.05 (inch). Pad : 600298.510(middle), 20(side) (mm) / 23.6211.750.39, 0.78 (inch). Pillow : 1.8Kg / 3.96 lb. Pad : 130g / 0.28 lb. How to manage the cover. When using the washing machine, outer cover is woolly laundered in the washing net. And When hand washing, wash gently with a mild detergent. Do not wash pillow and inner cover, but you can disinfect it for 3 to 4 hours in sunlight once every 3 to 4 months. Living waterproofing : The waterproof inner cover protects you from sweat and absorption of various impurities. Excellent deodorizing power that spurs up scalp smell and uncomfortable life odor. Side mesh processing : Provides a comfortable sleeping environment with excellent ventilation power by eliminating the sweat flowing during sleep with its quick moisture absorption. People with sensitive skin can use it with confidence. Comfortable neck chiropractic : It naturally supports the neck with the weight of the person lying down. 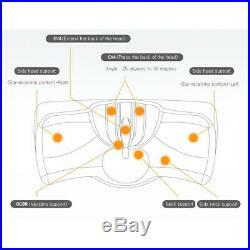 Ergonomically applied special shape : The nape is made of a cogwheel for a finer chiropractic. 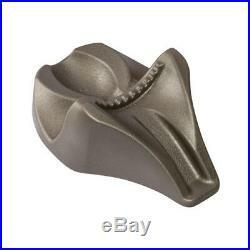 Stable support of upper back pressure part : The upper back pressure part, which is the connection part between the neck and back, stably supports knab when you are lying down. It can help the back and shoulders to spread through back pressure. 295200102 (mm) / 11.617.874.01 (inch). 700900g / 1.541.98lb. First-time users may experience dizziness, pain or discomfort temporarily. These symptoms disappear in a shot time, please use with confidence. Please gently wipe it with a towel. Asia Japan, Hongkong, Singapore, Thailand etc. Oceania Australia, New Zealand etc. North America USA, Canada etc. Middle East Saudi Arabia, India, etc. This average time can be changed depending on each countrys custom. These charges are buyers responsibility. It must return within 7 days after you received it and should be in original condition. If you have any questions, Ill try my best to answer them as quickly as possible normally within 48hrs. 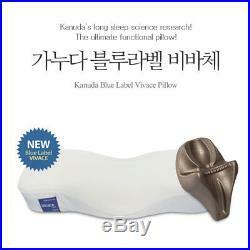 The item "KANUDA Blue Label Vivace Functional Traction Pillow and Nap (Single set)" is in sale since Tuesday, March 20, 2018. This item is in the category "Home & Garden\Bedding\Bed Pillows". 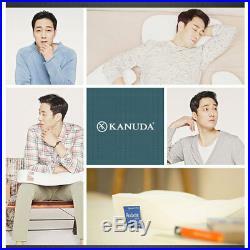 The seller is "enjoylab100" and is located in Yeongtong-gu, Suwon-si, Gyeonggi-do, Korea. This item can be shipped worldwide.